This is a fun book. It contains a collection of comic art that spans over 100 years, from the Anti-Chinese "comics" of the early 1900's, to the latest editions of "Spiderman", fighting the Islamic threat in Iraq. 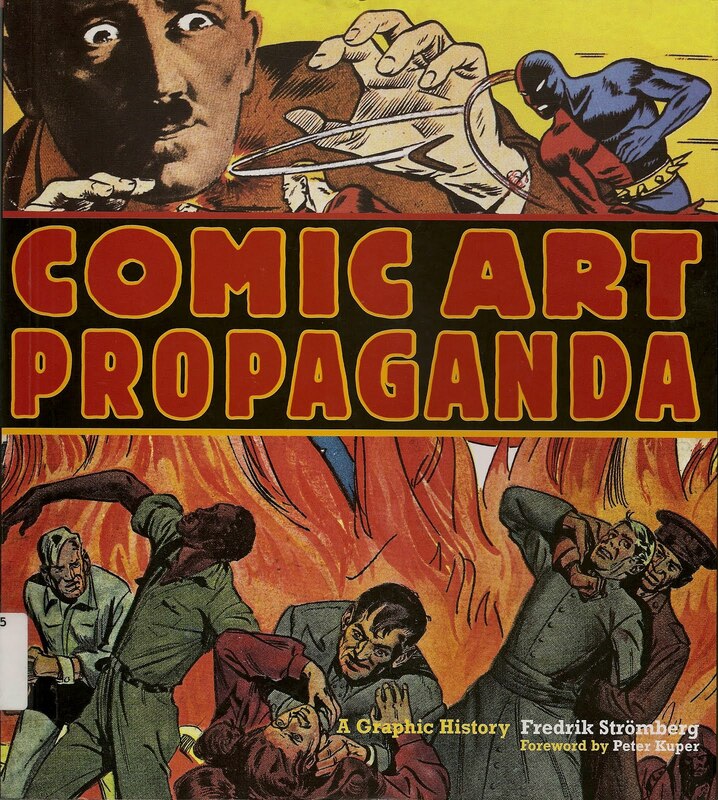 In between, the comic book art genre has been used to villify everyone, and everything. Some of the most loathsome were, of course, the Anti-Semetic cartoons, which were so popular during Stalin's reign of power. Make that his reign of terror. 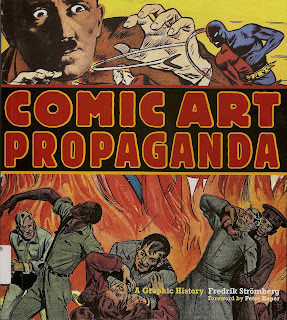 Part of his arsenal to dehumanize an entire group of people was comic book propaganda. Hitler did the same. The Chinese under Mao brainwashed an entire generation, or two, with their own type of art form. As Americans, we have been no less guilty of this form of slander. The cartoons of World War Two, with their depictions of the Japanese as buck toothed, sub humans, wearing Coke bottle glasses, and later, the Anti-Communist cartoons of the 1950's, along with the "Step and Fetch It" series of the 1930's, which depicted African Americans as shuffling, boot lipped creatures, are no less appalling than any of the cartoons previously mentioned. As in the the former, the latter is just one more tool of dehumanization in the pursuit of often dubious goals. The book also explores some of the counter culture comics of the 1960's, such as "The Fabulous Furry Freak Brothers" and "Mr. Natural." The whole Zap comics era was one of great satire, along with a return to the tradtional style of comic drawing from the 1930's. This shift can also be seen in the cartoons of the 1950's, when production costs made it more profitable to skimp on the artwork. Think of the old Max and Dave Fleischer "Popeye" cartoons from the 1930's, and then compare those to the King Features Syndicate "Popeye" cartoons of the 1950's and you will see what I mean. Overall, this was an entertaining romp through the world of political cartoons, and the stereotyping they sometimes engender. From the Revolutionary comic books of Cuba and Che Guevara, yes, they actually had them, to the more traditional "Peanuts", it's all represented here in a colorful and educational way.